Can both parties manage financially without spousal maintenance? It’s important to understand that spousal maintenance is just that, financial support from one spouse to another paid on the breakdown of a marriage. It does not apply to unmarried couples and is different to child maintenance. The conditions under which spousal maintenance might be paid vary, as every marriage varies. If a couple have been together for a long time and one party has given up work to run the home whilst the other has developed a career and been the family breadwinner there are arguments to say that the homemaker is entitled to financial support, in the form of spousal maintenance, if the marriage breaks down and on the basis that the spouse in need cannot support themselves financially from income they have coming in from other sources. Many couples reach an informal agreement about spousal maintenance, perhaps agreeing to split capital assets like a house or savings in favour of the home maker, whilst the breadwinner, who has more potential to generate income and wealth on an ongoing basis takes a smaller share. In this case, spousal maintenance is deemed to have been capitalised, rather than being paid in monthly instalments. In other cases, spousal maintenance is paid on a regular basis, intended as income to cover the living costs of the spouse receiving it. If your ex is not willing to reach an agreement about spousal maintenance you will need to ask the courts to consider your case and they will decide whether you are entitled to spousal maintenance. If they think so they will make a court order for spousal maintenance to be paid by your ex. What are your financial needs and income potential? Can these needs be met without the support of your ex? Have you been married for a long time and given up work to support your spouse or family by becoming the home maker? Are you of an age where establishing a career, to deliver the kind of lifestyle you have been used to, would be difficult? 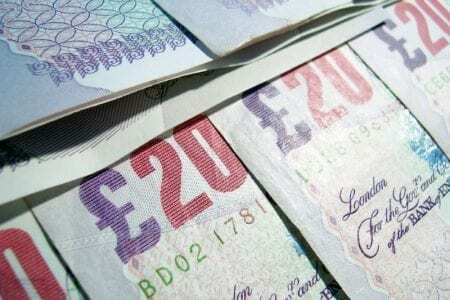 Would you be financially better off having a financial clean break and lump sum from your ex, rather than maintenance? Are you prepared to take your case to court, if your ex will not agree to spousal maintenance? As is often the case with family law, every case is different. 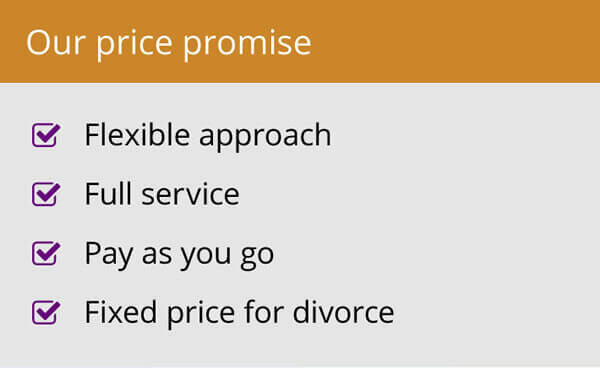 It is therefore important to take advice from a divorce and family lawyer. They will be able to consider your circumstances and advise on the likely success of your case. Thank you for your recent comment on my blog post from last year, I am sorry to hear you were unsatisfied at the outcome of your proceedings. I am not sure when you got your Court Order there is a right of appeal if brought within 21 days of the date of the Order. However, by way of advice, you cannot appeal just because you feel the judgement was unfair, you have to show there was wrongdoing or that the Order was unjust because of a serious procedural or other irregularity in the proceedings. If you feel you have grounds for appeal and are within the time limit, then please contact me direct and we can arrange a time to discuss your options on a free of charge basis, I cannot comment further without knowing the facts of your case. Thanks for your comment Helen, you could potentially have a claim for spousal maintenance here yes but only if you can first establish jurisdiction here in the English Court, that said, enforcing an English maintenance order against him in the US if he decides to stay there might be a lengthy and costly exercise, so you should first weigh up your options in the US and take advice there too. You will of course need his permission to remove the children from the US or a court order if he does not agree. I will email you separately so I can establish a bit more information from you. My husband of 12 years(together for 14) has decided he no longer loves me and our marriage can not be saved. We have 2 young children. Before I met him I owned my own home with a small mortgage(this would have been paid off in 8years). We bought a home together 4 years after we married and all of the equity from my previous home went into the deposit of our new/current home. I believe that my husband(who earns substantially more than me) will be entitled to 40% of any equity we have from the sale of our new home? Is that correct? That would mean I would not even be able to afford a similar house in the same area as I lived in before I met him as I only work part time and have done since our eldest was born 10 years ago. Our 2 children will live with me, would I have any claim to spousal maintenance. I can’t see the wood for the trees at the moment, on top of the emotional stress I am in a panic over how I will provide for our children. Any general advice would be really appreciated, thank you. Hi Tracy, thanks for your post on the blog. How the equity in the property will be divided will depend on your respective housing needs and the other financial resources you each may have, including your respective mortgage capacities. Whether or not you will be able to claim spousal maintenance will depend on whether you can demonstrate a financial need and your husband has the ability to pay, taking into account his own reasonable needs. I would obviously need a lot more information before I could advise you, so I will email you separately and we can arrange to speak on the phone and I can give you some advice about your options. I too am in a similar situation to Tracy, I have been married for 12 years and together for 14 years. Husband has been meeting/messaging a woman at work and after I found messages containing declarations of love to each other, my husband admitted that he has not loved me for years and would like to separate but stresses it is not about the “other woman”. Husband earns considerably more than I do and I would not afford our mortgage without him, I have only been working for the past 2 years part time as we agreed I would raise our children who are 9 and 11 whilst he built up career. I have looked into how much I could borrow (mortgage) but it is no where near enough to stay in the area for work and School so when our marital home is sold I would need almost all of the equity held in our home, we currently have approx 40% equity. Would I be entitled to this and or spousal maintenance payments? Both children live with me and I am very worried about how I will provide for them and affordability of a new home. Dear Sarah, thanks for your blog post. The first consideration for the court would be the welfare of children of the family who have not attained the age of 18. So your financial needs as their parent will have to be given careful consideration and if you needed all of the equity to provide the children with a home that is within the powers available to the court, depending on the other factors of the case. If you cannot afford a mortgage without spousal maintenance from him, then again it is possible to seek an order from the court, but what will you will be entitled to will depend on all the other circumstances of the case. I will email you separately to obtain further information from you so I can advise you more fully. Hello, my ex husband is threatening me with a spousal maintenance claim if I were to opt for a pension sharing order. I worked part-time for almost ten years to bring up our two children so was not able to save up as much for a pension. As of this year I am earning £20k more than my ex-husband and decided to work full-time in order to keep the house and pay him out as much as I was able to afford. He bought a new house, used a lump sum that I took out as a loan (half of his stamp duty and furniture compensation) to deck out his new house and is now unhappy that I would ask for a fair compensation of his pension. I thought a spousal maintenance order would only be granted if one person could not financially survive without it. Just not as comfortable. He can certainly survive and has a good job, but clearly is convinced he would be able to claim spousal support due to our 30% difference in salary. Myself, I have circa £500 as disposable income to entertain the children and to save for holidays. Would he have a chance? Thanks for your post on my blog. A court when considering any spousal maintenance award will look at, amongst other things, the affordability of the paying party, your reasonable needs will be taken into account and saving for a holiday for the children and entertaining them would in most cases be reasonable of course. The court would also look at his income and earning capacity to ensure he is maximising that as much as he can and will look at his own reasonable needs to see if he is able to meet those without suffering undue hardship, it sounds like he can without too much difficulty and it sounds like he might be simply hitting back at the suggestion you would want to make a claim on his pension, what you will be awarded by way of a pension sharing order will depend on the length of your relationship and the extent of your own pension assets as well as all the other circumstances of the case. I would need to take a lot more information from you before I could give you further advice but I am happy to do so, I will therefore send you an email. How does this work if your husband lives abroad … in the Middle East? Feeling stuck and not sure which way to go. Dear Sharon, thanks for your post on my blog, I understand you have also requested a call back through my head office, so I will be in touch with you direct. Thanks for your post on my blog. Enforcing maintenance agreements where the payor is living abroad is of course difficult, especially in a country where there is no reciprocal enforcement arrangement, but it is not impossible to benefit as there may be assets from which maintenance can be capitalised for eg, I would of course need a lot more information from you before I could advice you so I will email you separately to see if you would like to provide me with some further information. Hello – I’ve got my decree nisi and my ex and I are now working out the consent order. We’re just about agreed but I still feel a bit aggrieved that having had a good career, having then met him and become an older mother (I was 49 when I had my last child, now aged 7), he left and has expected me to bear the brunt of the costs for the kids and wants a share of the house (the equity in the house is capital I put in, and I paid more towards the mortgage until taking voluntary redundancy in 2010 and then finding I was pregnant…. He then got together with a woman who encouraged him to go to a solicitor (before that he had said he wasn’t going to) and it all turned quite nasty. We are getting on better now, which is good for the kids, but I could do with someone just telling me whether or not the agreement we’ve reached is a reasonable one. I can’t afford a huge amount in solicitor’s fees as I only earned £13,000 last year. I guess I’m rather sore that my career has gone backwards due to having his kids and moving up north as he was unhappy down south, and also that he doesn’t seem to recognise that getting a similar job up here when I’m heading towards 60 (I’m 57) and have 3 kids isn’t as easy as it might have been down south. On the other hand perhaps legally we have reached a perfectly reasonable settlement which the Courts will agree to. But, as I said, I think I could just do with someone confirming that to me. Please could you let me know how much a quick scan of the consent order might cost, if I could also provide some financial info.? Thanks for your blog post and also your direct email enquiry, I will ring you so I can take more detail and then I can give you a fixed fee quote for advising you with regards to the proposed agreement. Hey, i have been married to my wife for about 4 years, it will be 5 years in november this year. She moved out of the house about a year and 2 months ago. I am looking to start divorce proceedings against her, and i have put in an application to the child maintanience agency to determine how much i would have to pay for our son. I would like to know if i would have to pay any spousal maintence payments. We dont have an assets or property together, and has been working full time every since she moved out the house. She is 31 and hasn’t got any health restrustions to stop her working. I am not sure how much she earns but she rents a property and appears to be living ok( she travels alot). Will she be entitled to any spousal maintence payments or lump sum? A spousal maintenance award is properly made where the evidence shows that choices made during the marriage have generated hard future needs on the part of the claimant. Duration of the marriage and presence of children are pivotal factors. An award is only made by reference to “need”. In every case the court must consider a termination of spousal maintenance with a transition to independence as soon as it is just and reasonable. It therefore sounds to me from what you have said that she has already transitioned to financial independence and therefore spousal maintenance may not be relevant in your case. Obviously I would need much more information to advise you fully and if you would like me to provide that advice then let us know. Sorry for question. My ex husband is British citizen. Working in Bosnia since 1999. We have been together 13 years. As he wanted divorce he also left me without any financial support for last 7 months very difficult for me. He’s not paying bills either. I was working till 2013. His income is extremely good even never knew exactly. He also has military pension and funds n UK. I can’t afford solicitor. Living in Bosnia, and I’m Bosnian. Dear Sabina, I am sorry to hear of your situation. It sounds to me like you certainly need financial support from him and given the length of marriage he may indeed be obligated to support you but it will depend on many other factors, such as the presence of children and your capacity to work and other assets of the marriage. It sounds like you need a solicitor to write to him to find out why he has stopped supporting you and try and get this re-established. I can do that on a small fixed fee if that helps. Please email me direct on susan.harwood@family-lawfirm.co.uk if you would like to explore that. I was wondering if I could be entitled to spousal maintenance? My husband has decided to divorce me after three years of marriage due to changing his preferences in sexuality and due to my religious beliefs I cannot remarry or enter into another relationship (I am late 20’s) I have a full time job but was left with some debts to pay from him. He is earning more than me. Hi, I have separated from my husband who I have been married to for 13 years. He had an affair in our first year of marriage but I was pregnant so we gave it another go. I caught him contacting another women a while back and kicked him out. I have an 11 year old daughter and we have a mortgage in both our names. I have been a housewife for 13 years as he worked long hours so I was the only one able to see to our daughter when she was home. I am now 50 and we still have 19 years on mortgage. We bought the house to leave to my daughter as we dont have any family. What are the rules about the house as i could not afford to pay it and i am still looking for work. Also spousal and child mainenance information would be greatly appreciated as I have no idea if he has to support me until a certain time or how it works. I am getting a little benifit at the moment as I am not working and still looking. Your help would be much appreciated. Thanks for your comment on my blog post, I am sorry to hear of the situation you are in. As you and your husband have separated and your daughter is living most of her time with you, then your husband will have a liability to pay child maintenance, this will be based on a percentage of his gross income, you can check it here Https://www.gov.uk/calculate-your-child-maintenance. If he is making contributions towards the mortgage this can be considered payments in lieu of child maintenance, it will depend what his child maintenance liability is and what the mortgage payments are in comparison. With regards to spousal maintenance, it certainly sounds like you may have need for it, but whether he has an obligation to pay it will depend on his income and his own reasonable outgoings. If you wanted to keep the house and continue to live there you would need to show you could afford to pay the mortgage and bills etc, even if that means with the help of spousal maintenance from your husband. I hope that has answered your initial queries but I will email you separately and we can arrange mutually convenient time for a free of charge initial chat. Hello there. I am wondering if I am entitled to spousal maintenance due to the breakdown of the marriage after three years, I was bringing up our child and although I will start part time work in September, I will still be reliant on benefits to support us. He does pay child maintenance every month. My solicitor advised me to do to mediation after he made what was deemed an unsatisfactory offer but the mediator asked me today why I think I am entitled to spousal maintenance. His earning capacity is extremely high whereas being a mother of a young child mine isn’t. I just feel I’ve been given mixed messages and I’m confused as to whether I am entitled to spousal maintenance. Thank you for any clarification. Dear Amy, thanks for your post on my blog. Whether or not you will be able to claim spousal maintenance will depend on whether you can demonstrate a financial “need” , ie can you meet your every day outgoings from you income, benefits and children maintenance alone? if not then you may have a claim for spousal maintenance but that is dependent on your husband’s disposable income taking into account his own reasonable outgoings. So there isn’t a yes or no answer I can give you I’m afraid, every case is different turning on its on facts. I would obviously need a lot more information before I could advise you, so do please email me on susan.harwood@family-lawfirm.co.uk and let me know when it will be convenient for me to call you. Thanks for you post on my blog, I see you have also emailed me direct so I will respond to your email and then we can arrange a time to talk about what I can do for you. I am willing to divorce my wife I’ve been married to for 21 years because I don’t love her anymore, there is no communication between us, our relationship is too formal. We got married in the UK, the religious ceremony was in Germany and I signed a prenup in Germany because her parents insisted. We never lived in UK while married, 21 years worked and lived in Germany. I moved back to London 3 years ago to work but she used to come over once a month, her address and work is in Germany. She never worked while we were married, I paid for everything, children education, school and now university, children are now 22 and 21. In which country I need to divorce? Will I have to pay spousal maintenance? She went back to work 2 years ago but part time only. Thanks for your email, where you should issue your divorce proceedings requires careful consideration because the consequences of issuing in one country over another could have stark differences in terms of a financial obligation to pay maintenance. You should first of all take advice in Germany to understand what your obligations may be if you issued there as they are likely to be very different to that in England. I can tell you that as this is a long marriage spousal maintenance is more likely to be a relevant factor if your wife cannot meet her reasonable outgoings from her own income alone. It will of course depend entirely on what you are earning yourself. 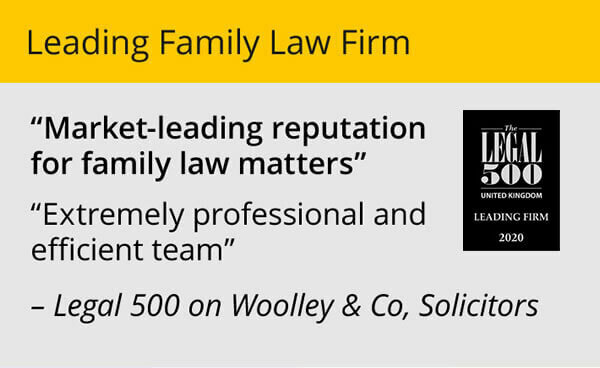 Please email me direct on susan.harwood@family-lawfirm.co.uk and let me know when it would be a good time for me to call you and we can have a further discussion so I can obtain essential information from you before being able to advise you further. My husband and I have decided to separate in two years once our children are older. I gave up my career in the Police to look after our children and am just getting back into full-time employment. The jobs I am looking at are relatively low-pay at around 25K. Had I stayed in the Police I would have been on 42k and a good pension. My husband has his own business and earns between 120 and 150k per year. He is saying that we split our assets in half which is fair enough. However, I am hoping I would be entitled to some kind of spousal maintenance as even if I do not have children living with me at this time, I will find it hard to survive on this income. His pension is slightly higher than mine, mine will be worth 9k and his 12k although he is pumping money into this at the moment. I said I wouldn’t touch his pension. We have been together for over 30 years and have been married for over 20. We have two kids aged 16 and 14. Hi Helen, thanks for your post on my blog, I also see that you have contacted my head office for a call back, so I will call you on Monday and we can discuss further then. I’m currently going through a divorce with my ex wife. We are having to go through court due to her constant refusal to sort anything. She refused mediation and didn’t respond to solicitors. We have exchanged form E she is requesting spousal maintenance despite earning more than me. She is also requesting more Child maintenance even though we have gone through CMS. Her bank statement shows she is banking nearly double what she is declaring on her income paperwork. Will she have a claim for spousal or more child maintenance? You say she is claiming maintenance, I expect what you mean is that she has ticked that box on the application form, be advised it is usual for all the boxes to be ticked, it does not necessarily mean that she will be pursuing all of those claims. My husband had an affair in 2010 for 8 months. When I found out he ended it and we stayed together and tried to make it work. We moved away from family and friends as the woman he had the affair with lived in our town. After a few years I decided I couldn’t forgive him and we separated amicably in 2014. He has our three children half of the time and pays the mortgage on the house I live in £650 per month in lieu of maintenance. He has a 60% share in the house. We are getting divorced now and while looking into my entitlements I came across spousal maintenance which I have not claimed from him although I would like to do so now. I earn approx £10,000 pa and get tax credits and he earns £108,000 pa. Am I entitled to spousal maintenance now? Or have I set a precedent by managing without for four years. I live very sparsely! The fact that you have been managing for the last 4 years might have an impact yes, but your ability to claim spousal maintenance is not yet lost. Whether you will be awarded maintenance will depend on many different factors such as your reasonable needs, the length of the marriage, the age of the children, and the standard of living enjoyed when you were together. The fact that there is such a huge disparity in your respective incomes may mean you would be successful, especially as technically you may not be getting much child maintenance from him if he the children for half of the time, if you would like me to advise you further please email me at susan.harwood@family-lawfirm.co.uk and we can arrange a time to speak. Hi, my fiancée was married for 20 years and all 3 children are over 21. She divorced me as she said she just didn’t love me. Now I have a new life with a lady who owns her own home and we have a great life, ex wants to claim spousal maintenance. She got half our house and will get half my pension. She is 49 so can easily work. She never worked whilst bringing up children. The decree absolute is on hold until this is sorted and her solicitor has asked for all of mine and fiancée bank details. Will I have to pay her anything ? I am currently going through a divorce that I have requested. I held off applying until after 2 years separation so that it could be a blame free process. I left the family home nearly 3 years ago and for just under 2 years of that time I have voluntarily paid my partners rent in full (£1500/month). I have also voluntarily taken on our joint debts of £25k as my own. She has now left the family home and has been cohabiting with her new partner for the past year. Now that divorce proceedings have begun, she has informed me that she will be applying for spousal maintenance as she earns significantly less than me (£15k to my £60k although at time of separation I was earning £45K). This has obviously come as a shock as I tried my best to lessen the impact for her which meant me being unable to have anything more than a bedsit for the first 18 months of separation. Will the support that I have given since our separation be factored into any hearing for spousal maintenance please? Dear Mary, I am a little confused by your post, are you writing on behalf of yourself or someone else? As you start by talking about your fiancé then go into talking about yourself in the first person. I am therefore assuming your are writing on behalf of your fiancé and it is he who is going through the divorce. Whether or not he will have to pay his wife anything will first of all depend on whether he has been paying her anything to date since the separation, as that would have set a precedent. If he has not been paying her anything and she is now saying she needs maintenance, then that might be a little harder for her to demonstrate if she has been managing without it until now, and yes her ability to work full time if she has the capacity to do so will be taken into account. Ultimately it boils down to needs, she will need to demonstrate a real and reasonable need for maintenance and he will have to disclose his income and income needs, taking into account he is cohabiting with you and therefore the costs of your household bills will be shared to some extent. 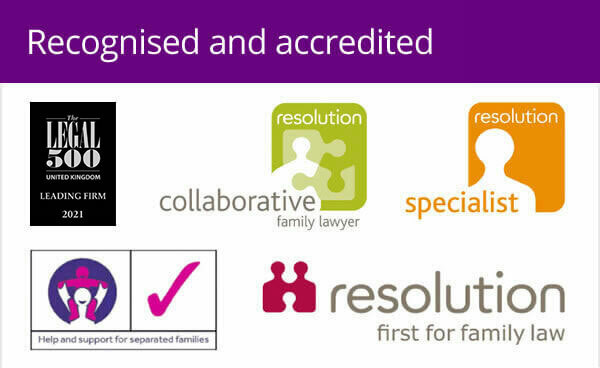 Please feel free to email me on susan.harwood@family-lawfirm.co.uk if you wish to arrange a telephone appointment. My wife and I are currently looking to separate after nearly 30 years of marriage. There has been no infidelity simply falling out of love. We have no dependant children and currently we plan to split our finances 50/50 when we sell our house. 1. If we split up but don’t divorce or have a legal separation in place and I put my 50% of the money into a new single mortgage will she be entitled to any share when we formalise our divorce/separation. 2. Early in our marriage my wife developed a number of health conditions that prevented her from working so I have always paid all the Bill’s and supported her as she has not been eligible for benefits. Would I have to pay any ongoing maintenance? When we split I am assuming she will be eligible to claim benefits. Thanks for your questions, you and your wife will continue to be able to make financial claims against the other until those claims are dismissed by way of a clean break which can only be achieved as part of a divorce. If you wife has little or no means to earn her own income due to ill health, and she has a shortfall from any benefits she can claim and her reasonable needs, then yes you may well have an on-going duty to support her through spousal maintenance, especially after a long marriage such as yours. If you need to discuss in more detail please email me on susan.harwood@family-lawfirm.co.uk to arrange a telephone appointment. hi I have been married for 34 years it has not been a happy marriage for a long time I worked part time when our children were small and full time for 9 years I have fibromalgia and took redundancy 4 years ago … to help financially I took a zero contact job as I find I cant work every day it is not a well paid job but I found it helpedas my money was running out. My husband has now left and he is paying the mortgage my worry is if I don’t work I don’t get any wages im on about 700 a month if I have a lot of contacts myhusband last year earned 54, 000although he will not work overtime now which he has always done so his basic will be around 42,000 a year. will I be entitled to some sort of mainetence all our children are grown. Hi Debbie, thanks for post on my blog, I am sorry to hear of your personal circumstances, your case certainly does sound like the kind of situation where spousal maintenance could be a factor yes, due to the long marriage, your specific health needs and your inability to work full time – it will depend on other issues too, such as the amount of money you can claim by way of benefits to supplement your income due to your health, the amount of time you have been separated (if applicable) and the outgoings your husband may have in meeting his own reasonable needs. If you would like to discuss further please email me on susan.harwood@family-lawfirm.co.uk and we can arrange t time to chat so I can take more details from you. I am divorced from my ex . We have joint custody / shared care for our daughter but she is claiming child maintenance from me through CSA. I called t ask them to stop. Dear Tim, thanks for your post on my blog. The separation agreement is not binding on the matrimonial courts, so if circumstances have changed and that warrants a change in your agreement, then I expect that is what you will to negotiate, your case does not sound straightforward so you might benefit from specific advise, which I can help you with, I will email you separately about that. I have just bought a house, and we have been in it for 2 months, but now we are getting a divorce. and the fact that she cannot afford the house. Dear Christopher, thanks for your post on my blog. Spousal maintenance is appropriately paid when needs are an issue, the children are ‘children of the family’ despite them not being children of your marriage so they will be a factor and their welfare will be considered first. If your wife can demonstrate that she could afford to stay in that property and pay the mortgage with you paying spousal maintenance to her at a rate that was affordable by you taking into account your own financial needs, then yes you might be liable for spousal maintenance, until such time as she transition to financial independence without undue hardship, there is a scenario whereby you may have to stay on the mortgage for the interim until she can take on the mortgage or until the house is sold. It does not matter that the house is in your sole name, it is an asset of your marriage. 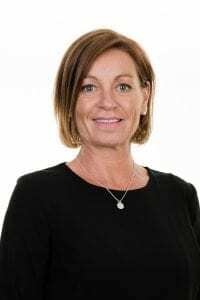 Without knowing all the facts and figures I cannot advise you fully of course, but if you did want a consultation then I would be happy to provide it, just email me at susan.harwood@family-lawfirm.co.uk to arrange a convenient time for us to speak.